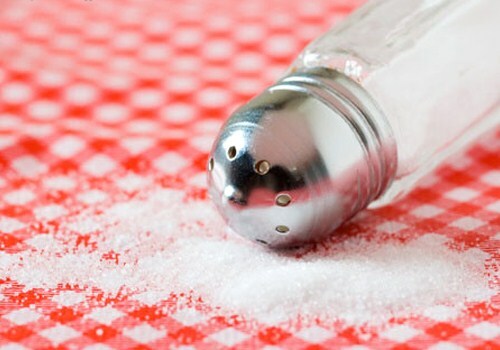 The salt is a key risk factor for hypertension and heart disease. Only 25% -30% of the salt we eat we add, the rest comes from the consumption of bakery products, meat and meat products, cheeses, sauces, canned or cooked dishes. So much so that 75% of the world population consumes nearly twice the recommended daily amount of sodium (salt Sodium intake through commercially prepared foods, table salt, salt and soy sauce are added when cooking was an average of about 4,000 mg per day in 2010. Says a study presented at the American Heart Academy. The World Health Organization (WHO) recommends limiting sodium to less than 2,000 mg per day-are 5 grams of salt, and the American Heart Association recommend lowering sodium intake to less than 1,500 mg daily. “This is the first time there is information about sodium consumption by country, age and gender,” said Saman Fahimi, professor at the School of Public Health Harvard University (USA) and lead author of the study, published in Circulation : Journal of the American Heart Association. Kazakhstan had the highest average intake of sodium to 6,000 mg per day, followed by Mauritius and Uzbekistan, with just under 6,000 mg per day. On the opposite side, Kenya and Malawi had the lowest average intakes, with about 2,000 mg per day. A total of 181 out of 187 countries representing 99% of the world population exceeded the WHO recommended intake of less than 2,000 mg of sodium per day, and 119 countries, representing 88% of the world population exceeds this recommended intake of more than 1,000 mg a day. Cardiovascular disease is the leading cause of death worldwide and excessive sodium intake increases blood pressure, a major contributor to the development of cardiovascular disease. Among women and men, the average consumption of sodium exceeds healthy levels in most countries, according to the researchers. Dear fans of Putty Squad for Amiga. Listen!